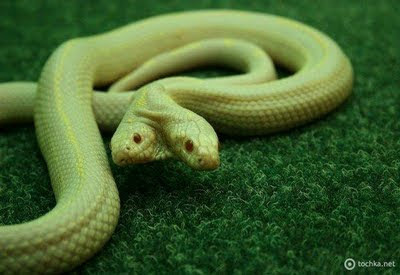 Have you ever known there are such creatures as an albino two-headed snake? It has two brains. Each head, principal and subordinate, thinks and feeds separately. 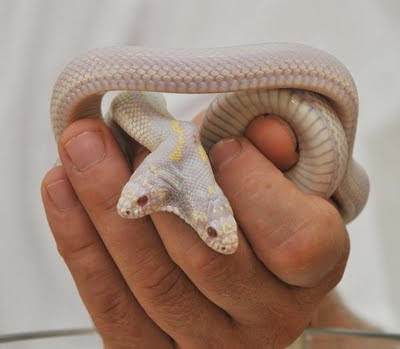 The snake was brought to Yalta from Germany within the framework of the project realized in collaboration with the Kiev zoo. 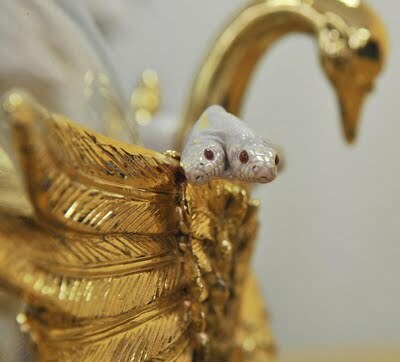 With its help it was planned to attract customers’ attention to the exhibition of poisonous snakes. 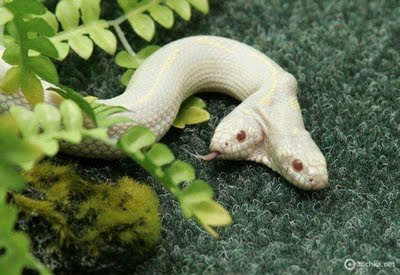 The life of the two-headed snake was estimated at 50 thousand Euros. 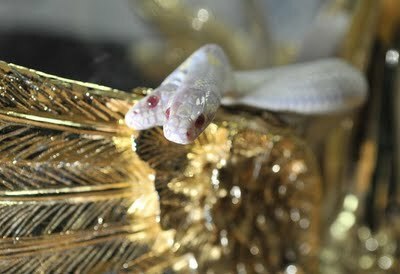 Due to the presence of the little thing the exhibition attendance increased 50%. 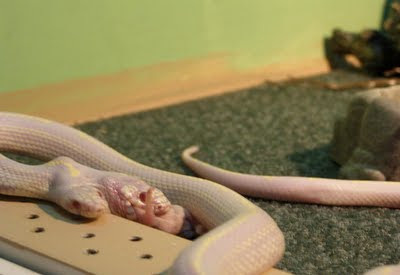 Such a snake is a rare phenomenon as it seldom survives in natural environment.